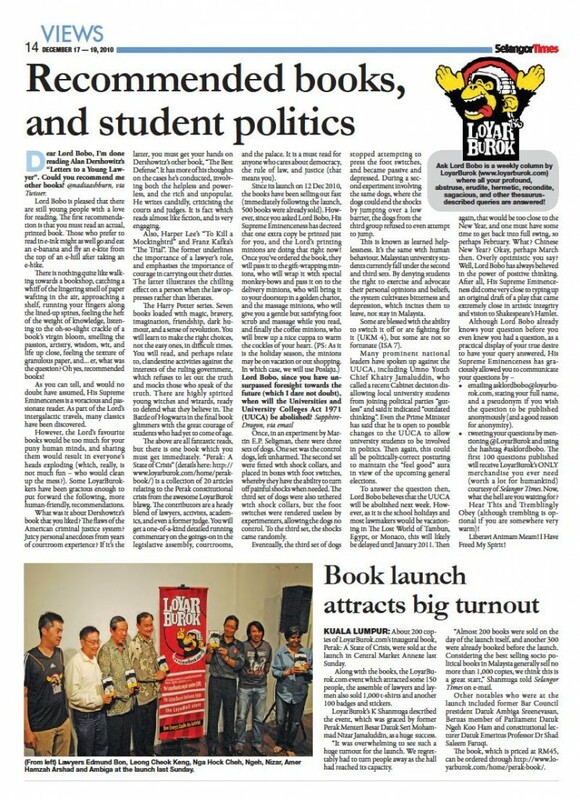 From the Selangor Times Issue 4, 17-19 December 2010. 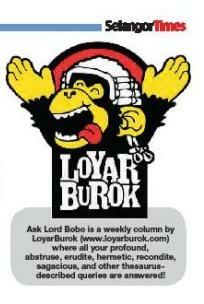 Ask Lord Bobo is a weekly column by LoyarBurok where all your profound, abstruse, erudite, hermetic, recondite, sagacious, and other thesaurus-described queries are answered! You can view the entire paper at the end of this post, and download a pdf of the entire paper here (highlights include MyConsti’s Radio Demokratika album (pages 12 & 13), Ask Lord Bobo (page 14), the launch of Perak: A State of Crisis (page 14), and hey — isn’t that LoyarBurokker Woon King Chai on page 23? This week, Ask Lord Bobo answers questions on book recommendations, and the UUCA. Lord Bobo is pleased that there are still young people with a love for reading. The first recommendation is that you must read an actual, printed book. Those who prefer to read in e-ink might as well go and eat an e-banana and fly an e-kite from the top of an e-hill after taking an e-hike. There is nothing quite like walking towards a bookshop, catching a whiff of the lingering smell of paper wafting in the nearby air, approaching a shelf, running your fingers along the lined-up spines, feeling the heft of the weight of knowledge, listening to the oh-so-slight crackle of a book’s virgin bloom, smelling the passion, artistry, wisdom, wit, and life up close, feeling the texture of granulous paper, and… er, what was the question? Oh yes, recommended books! As you can tell, and would no doubt have assumed, His Supreme Eminenceness is a voracious and passionate reader. As part of the Lord’s intergalactic travels, many classics have been discovered. However, the Lord’s favourite books would be too much for your puny human minds, and sharing them would result in everyone’s heads exploding (which, really, is not much fun — who would clean up the mess?). Some LoyarBurokkers have been gracious enough to put forward the following, more human-friendly, recommendations. What was it about Dershowitz’s book that you liked? The flaws of the American criminal justice system? 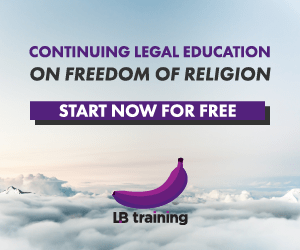 Juicy personal anecdotes from years of courtroom experience? If it’s the latter, you must get your hands on Dershowitz’s other book, “The Best Defense”. It has more of his thoughts on the cases he’s conducted, involving both the helpless and powerless, and the rich and unpopular. He writes candidly criticising the courts and judges. It is fact which reads almost like fiction, and is very engaging. Also, Harper Lee’s “To Kill a Mockingbird” and Franz Kafka’s “The Trial”. The former underlines the importance of a lawyer’s role, and emphasises the importance of courage in carrying out their duties. The latter illustrates the chilling effect on a person when the law oppresses rather than liberates. The Harry Potter series. Seven books loaded with magic, bravery, imagination, friendship, dark humour, and a sense of revolution. You will learn to make the right choices, not the easy ones, in difficult times. You will read, and perhaps relate to, clandestine activities against the interests of the ruling government, which refuses to let out the truth and mocks those who speak of the truth. There are highly spirited young witches and wizards, ready to defend what they believe in. The Battle of Hogwarts in the final book glimmers with the great courage of students who had yet to come of age. The same spirit flows in veins of students around the world today. The above are all fantastic reads, but there is one book which you must get immediately. “Perak: A State of Crisis” (details here) is a collection of 20 articles relating to the Perak constitutional crisis from the awesome LoyarBurok blawg. The contributors are a heady blend of lawyers, activists, academics, and even a former judge. You will get a one-of-a-kind detailed running commentary on the goings-on in the legislative assembly, courtrooms, and the palace. It is a must read for anyone who cares about democracy, the rule of law, and justice (that means you). Once, in an experiment by Martin E.P. Seligman, there were three sets of dogs. One set was the control dogs, left unharmed. The second set were fitted with shock collars, and placed in boxes with foot switches, whereby they have the ability to turn off painful shocks when needed. The third set of dogs were also tethered with shock collars, but the foot switches were rendered useless by experimenters, allowing the dogs no control. To the third set, the shocks came randomly. Eventually, the third set of dogs stopped attempting to press the foot switches, and became passive and depressed. During a second experiment involving the same dogs, where the dogs could end the shocks by jumping over a low barrier, the dogs from the third group refused to even attempt to jump. This is known as learned helplessness. It’s the same with human behaviour. Malaysian university students currently fall under the second and third sets. By denying students the right to exercise and advocate their personal opinions and beliefs, the system cultivates bitterness and depression, which incites them to leave, not stay in Malaysia. Some are blessed with the ability to switch it off or are fighting for it (UKM 4), but some are not so fortunate (ISA 7). Many prominent national leaders have spoken up against the UUCA, including UMNO Youth Chief Khairy Jamaluddin, who called a recent Cabinet decision disallowing local university students from joining political parties “gutless” and said it indicated “outdated thinking”. Even the Prime Minister has said that he is open to possible changes to the UUCA to allow university students to be involved in politics. Then again, this could all be politically-correct posturing to maintain the “feel good” aura in view of the upcoming general elections. To answer the question then, Lord Bobo believes that the UUCA will be abolished next week. However, as it is the school holidays and most lawmakers would be vacationing in The Lost World of Tambun, Egypt, or Monaco, this will likely be delayed until January 2011. Then again, that would be too close to the New Year, and one must have some time to get back into full swing, so perhaps February. What? Chinese New Year? Okay, perhaps March then. Overly optimistic you say? Well, Lord Bobo has always believed in the power of positive thinking. After all, His Supreme Eminenceness did come very close to typing up an original draft of a play that came extremely close in artistic integrity and vision to Shakespeare’s Hamlet.